On December 18, DPIC released its annual report on the latest developments in capital punishment, "The Death Penalty in 2014: Year End Report." In 2014, 35 people were executed, the fewest in 20 years. Death sentences dropped to their lowest level in the modern era of the death penalty, with 72 people sentenced to death, the smallest number in 40 years. Just seven states carried out executions, and three states (Texas, Missouri, and Florida) accounted for 80% of the executions. The number of states carrying out executions was the lowest in 25 years. Seven people were exonerated from death row this year, including three men in Ohio, who were cleared of all charges 39 years after their convictions, the longest time among all death row exonerees. There have now been 150 people exonerated from death row since 1973. “The relevancy of the death penalty in our criminal justice system is seriously in question when 43 out of our 50 states do not apply the ultimate sanction,” said Richard Dieter, DPIC’s Executive Director and the author of the report. “The U.S. will likely continue with some executions in the years ahead, but the rationale for such sporadic use is far from clear.” See DPIC's Press Release. View a video summarizing the report. A recent retrospective in the Fort Myers Florida Weekly on the state's death penalty traced some of the problems that have arisen since Florida resumed executions in 1979. During the execution of Jesse Tafero in 1990, six-inch flames shot from the prisoner’s head, and three separate jolts of electricity were required to kill him. Prison officials attributed it to “inadvertent human error.” In the execution of Pedro Medina in 1997, flames and smoke again spewed out from under the head gear. Ron McAndrew, the warden at the time, recently remarked, “For the next 11 minutes, instead of electrocuting this man, we burned him to death. We literally burned him to death.” Florida Supreme Court Justice Leander Shaw called such executions “barbaric spectacles” and said they were “acts more befitting a violent murderer than a civilized state.” Florida also has more exonerations (24) from death row than any other state. It is the only state that allows a jury to recommend a death sentence by a simple majority; most states require unanimity. The state's recent passage of the Timely Justice Act, designed to speed up executions, has raised concerns that it will reduce death row inmates' opportunities to prove their innocence. On October 14 a lawsuit was filed by the family of Clayton Lockett (l.) against the state of Oklahoma for damages related to his botched execution in April. The suit alleges “unsound procedures and inadequately trained personnel” and claims that Dr. Johnny Zellmer was the physician present at Lockett's execution. The family asserts that Zellmer, “was willing to, and did in fact, conduct the medical experiment engaged in by Defendants to kill Clayton Lockett regardless of the fact that these chemicals had never been approved or tested by any certifying body.” Oklahoma law makes the names of its execution team, including participating doctors, secret. In Lockett's execution, most of the execution team was out of view of witnesses, but the doctor who pronounced death was visible. Oklahoma has delayed all executions for the remainder of 2014 in order to allow time to obtain lethal injection drugs and prepare personnel. The state revised its execution protocol and remodeled its execution chamber after Lockett's execution, but retained the controversial drug midazolam and secrecy surrounding the sources of drugs and personnel. The Oklahoma Department of Corrections recently gave the media a tour (see video here) of its newly renovated execution chamber. The state spent over $100,000 updating the rooms in response to the botched execution of Clayton Lockett in April. Among the changes are a new gurney (an "electric bed"), a new intercom, and an atomic clock. Previously, communications included colored sticks pushed through a wall, with a red stick indicating something had gone wrong. Correctional officials were secretive about the participation of medical personnel, citing ongoing litigation. The state has said it will reduce the number of media witnesses from twelve to five. The ACLU and two media outlets have asked a judge to stop the state from reducing the number of media witnesses. "They took a process already corrupted by secrecy that had already led to at least one botched execution, and managed somehow to make it even more difficult for the people of Oklahoma and their representatives in the media to know anything about that process," said Ryan Kiesel, executive director of the American Civil Liberties Union of Oklahoma. (Image: The Guardian, link to video in text above). An investigation by St. Louis Public Radio has revealed that Missouri has been administering Midazolam to inmates prior to their execution since November 2013. Midazolam is a sedative that was used in all three of this year's most seriously botched executions in Ohio, Oklahoma, and Arizona. Missouri officials had testified earlier that the state had not used Midazolam in executions and did not plan to use it. New documents, however, show that the drug was given to inmates as a sedative before the execution began, without the presence of witnesses. George Lombardi, director of the Missouri Department of Corrections, said the sedative could be given before an execution at the request of the inmate, the state, or the execution team. In two cases, inmates were given both Midazolam and valium in quantities that one medical expert, Dr. Karen Sibert, said would make it difficult to arouse the prisoner, and would tend to cause someone, "to be so deeply asleep that your airway might obstruct." Cheryl Pilate, an attorney who has represented several death row inmates in Missouri, said, "It’s very disturbing that Midazolam hasn’t been disclosed. State law requires drugs in protocol to be disclosed. There may be a serious violation of state law going on." Noting that in at least one instance Midazolam was administered about 10 minutes before the execution witnesses were ushered in, she added, "The public is denied the opportunity to witness an execution through the press." On September 4, Oklahoma released a report from its investigation into the botched execution of Clayton Lockett. The review, which was conducted by investigators from the Oklahoma Highway Patrol, found several problems that may have contributed to the prolonged execution attempt on April 29. The execution was stopped by the warden, curtains were drawn in the chamber, but the inmate died afterwards, reportedly from the residues of the lethal drugs in his system. The state report found insufficient training of corrections officials, communication difficulties between those inside and outside the execution chamber, and a lack of contingency planning in case problems arose. The direct cause of the botched execution, according to the report, was the improper insertion of the IV, combined with the fact that the IV site was hidden from view and was not monitored throughout the execution process. The report offered eleven recommendations for future lethal injections, including observation of the IV insertion point, ongoing training for the execution team, established contingency plans and backup execution supplies in case of problems, and improved communications. Dale Baich, an attorney for Lockett, said, "The state’s internal investigation raises more questions than it answers. The report does not address accountability. It protects the chain of command. Once the execution was clearly going wrong, it should have been stopped, but it wasn’t. Whoever allowed the execution to continue needs to be held accountable." 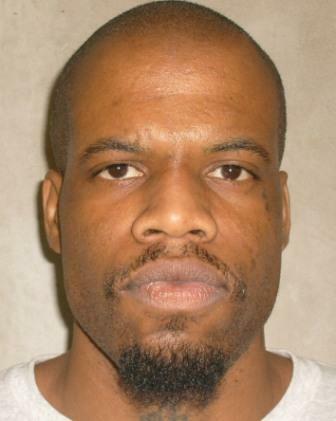 After Ohio's two-hour attempted execution of Rommel Broom (pictured) in 2009, it explored alternative methods, including an intramuscular injection of midazolam and hydromorphone. Gregory Trout, an attorney with the state Department of Rehabilitation and Correction expressed concerns to Dr. Mark Dershwitz, the state's expert witness on lethal injections, about whether these drugs would result in “gasping for air in a hyperventilating fashion, with eyes still open,” and whether it “would create the appearance, at least, of suffering, which would upset witnesses and inspire litigation.” Dr. Dershwitz said such reactions were unlikely. However, Dr. Mark Heath, an anesthesiologist at Columbia University, warned the drugs could create “a terrible, arduous, tormenting execution that is also an ugly visual and shameful spectacle.” Ultimately, the drugs were not used intramuscularly but rather injected into the veins of Dennis McGuire in January 2014, resulting in a prolonged execution in which the prisoner struggled and clenched his fists for an extended period. The same drugs were used in the recent two-hour execution of Joseph Wood in Arizona. Dr. Dershwitz, who had served as an expert on lethal injection for 22 states and the federal government, recently withdrew from further involvement as an expert because Ohio had mischaracterized him as a "consultant." A new study by Prof. Meredith Martin Rountree of Northwestern University Law School examined the characteristics of Texas death row inmates who waived all or part of their normal appeals, thus hastening their execution. Referring to these inmates as "volunteers," she compared them with similarly-situated inmates who did not waive their appeals. She found that more volunteers experienced depression or had attempted suicide than non-volunteers. She also examined the role of "self-blame" in prisoners' decisions to move towards execution. Inmates who waived appeals were more likely "to have been previously convicted of a crime, to have been convicted of a crime against another person, to have been incarcerated, to have committed their capital offenses alone, and to have committed the capital offense with a gun." Prof. Rountree criticized the legal changes begun in the mid-1990s that have allowed inmates to waive appeals earlier in the process "when prisoners may be most vulnerable to desires to die." She noted "the State’s interest in fair and constitutional death sentences, something only ensured through adversarial testing of the conviction and sentence," and called for further research in this area. Thirty-six states have either abolished the death penalty, have executions on hold, or have not carried out an execution in at least 5 years. Recently, three states, Arizona, Ohio, and Oklahoma, temporarily halted executions as reviews are conducted of botched executions. In six states, Arkansas, California, Kentucky, Louisiana, Montana, and North Carolina, a de facto moratorium on executions is in place because of lethal-injection challenges; most of those states have not had an execution since 2008. Colorado, Oregon, and Washington have formal moratoriums on executions imposed by their governors. Eighteen states and the District of Columbia have abolished the death penalty. In 6 additional states, while no formal hold is in place, no execution has been conducted in at least five years. The U.S. military and federal government also authorize the death penalty, but neither has had an execution in over ten years. Click image at left to see enlarged chart with further details.